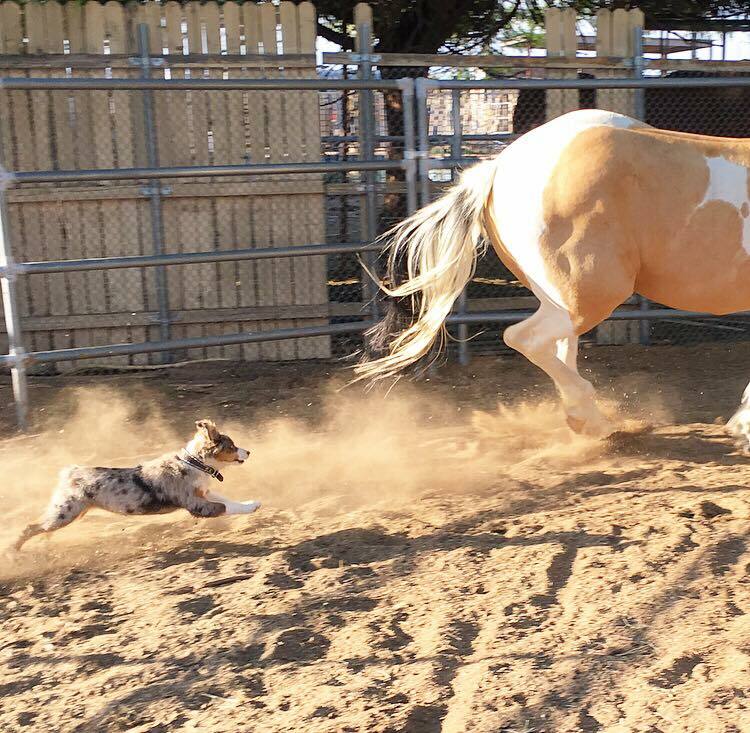 Check out pictures of our past litters of toy and mini Australian shepherds having fun after they leave the ranch! 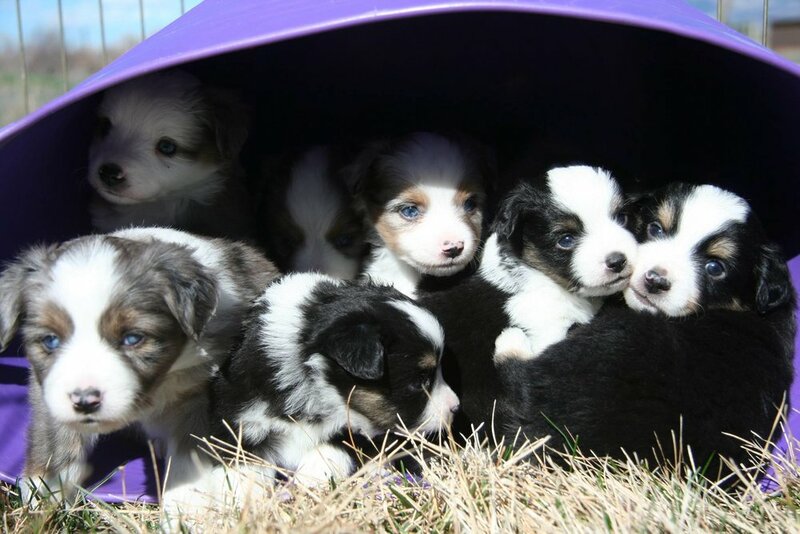 These puppies have left our ranch but not our hearts! Puppies Do Love to Be in Buckets! Otis and his Border Collie friend chillin’ with their favorite girl. Red tri Rusty loving life with his owners! 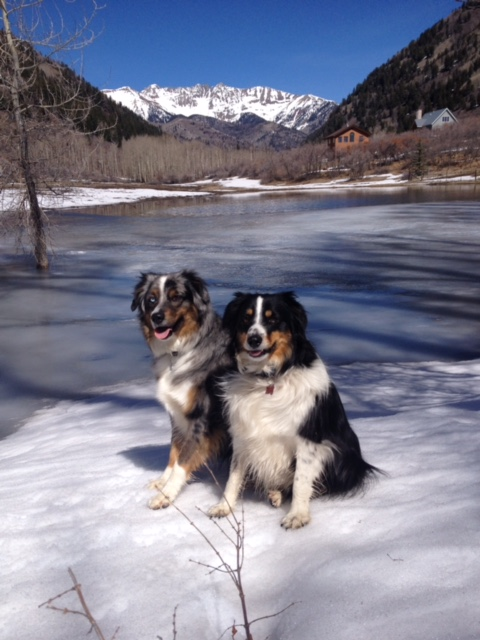 Poncho and Hefe love the winter and their mountains. Training is an important part of Aussie ownership! Creede lives the life of adventure wherever his human is. Our Aussies love to work as well as play. Aussies love to go along.